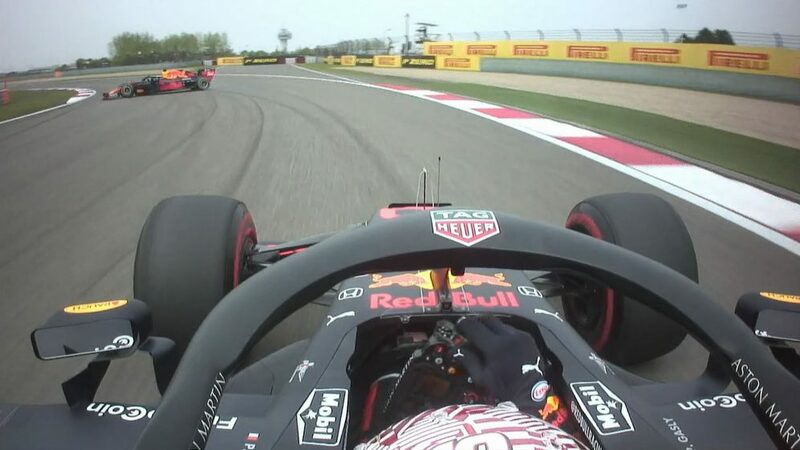 … at the front of the sidepod was not evident on either the Red Bull RB14 or Sauber C37. On the Red Bull, a sidepod which was teardrop-shaped in plan view had no discernible undercut in the sides. Instead, in side view it dropped sharply down from the radiator inlets – much more so than a conventional sidepod. 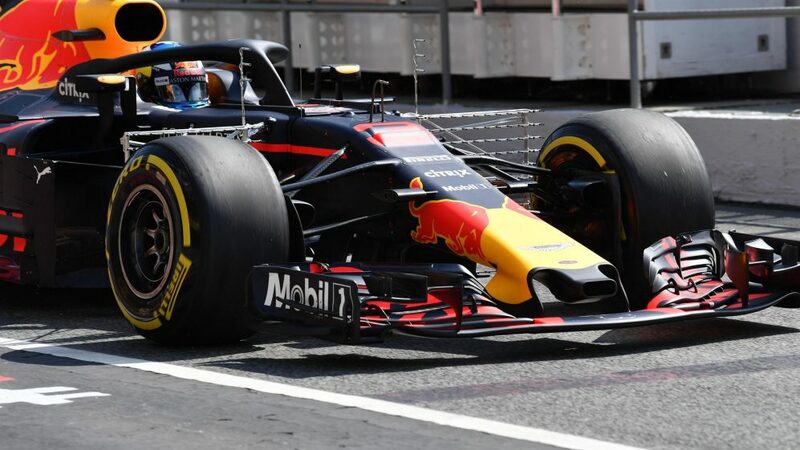 This was just a different way of accelerating the airflow from the front of the car towards the crucial small gap between the inner face of the rear tyre and the outer wall of the diffuser. 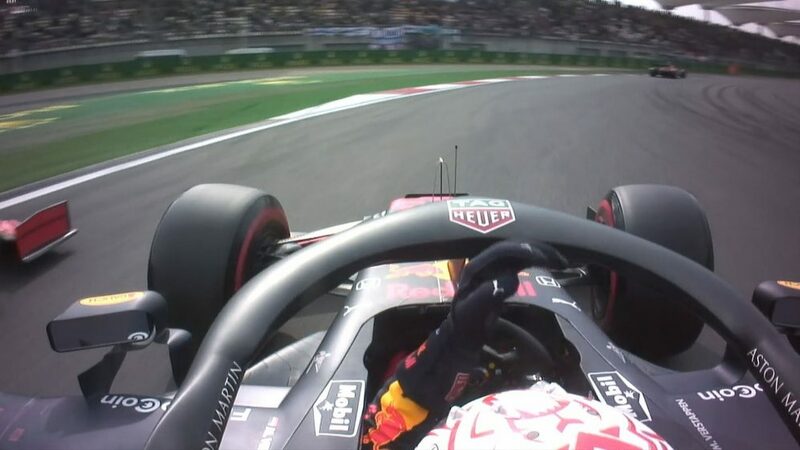 As the air exits through this gap it draws on the air coming through the diffuser from the underfloor, thereby accelerating that flow too and increasing downforce. 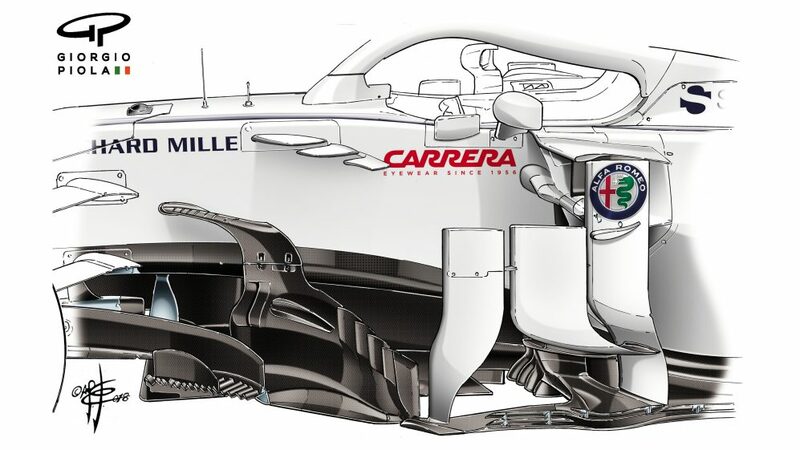 On a conventional undercut sidepod, that hollowed-out undercut creates a pressure reduction that the air rushes to fill. 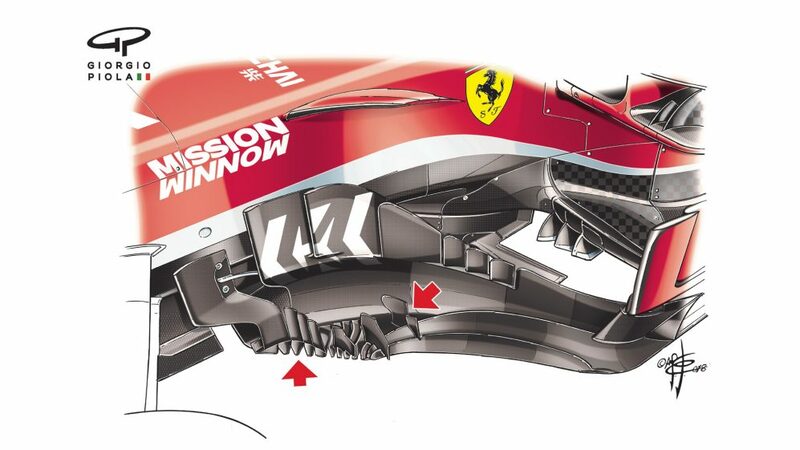 The falling profile of the top of the sidepod does the same thing to the airflow there and at some points those two flows merge as they make their way to that crucial gap at the back. Inevitably there are energy losses as the two accelerated flows merge. 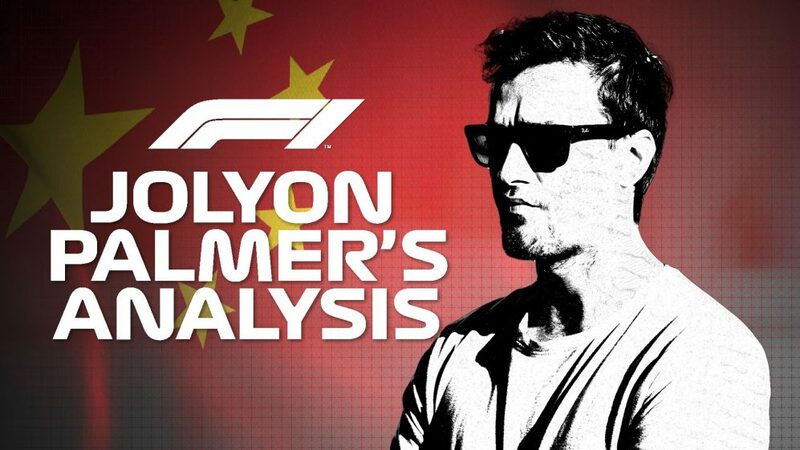 The Red Bull shape sought to minimise those losses, with a more equalised speed of the two flows. Furthermore, the bulky front sidepod, without undercut, allowed the cooling components to be packaged further forward in the car, facilitating the extreme rearwards in-cut in plan view that was a big part of maximising the high-rake concept. 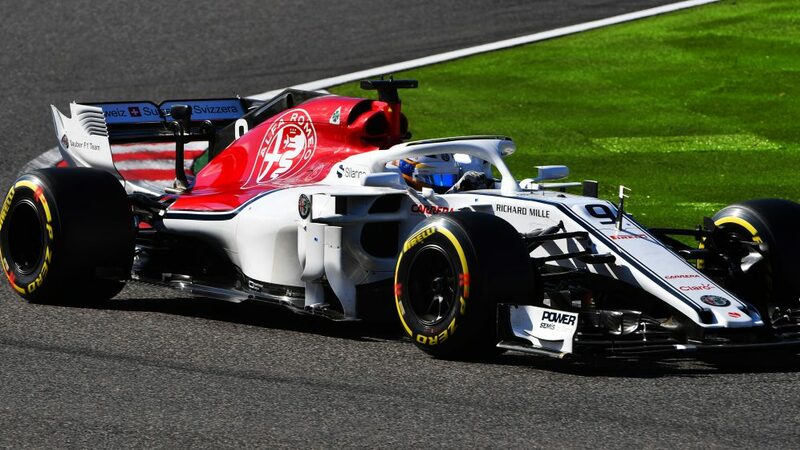 On the Sauber, the undercut was there – but not at the front of the sidepod. Instead, the hollowed-out section was to be found further back, where the body’s profile cuts in to form the ‘coke bottle’. Usually the undercut and coke bottle work together in accelerating the flow. In the Sauber these features were brought together. 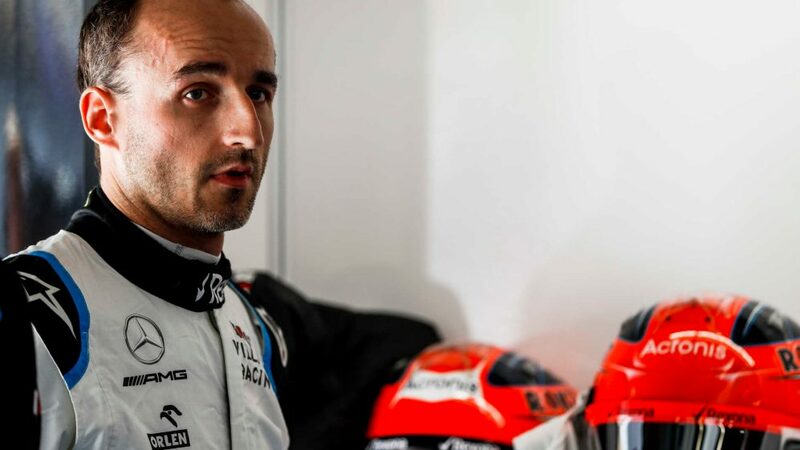 It allowed a cooling layout that significantly reduced the centre of gravity height, which had otherwise been nudged upwards by the new requirement of the cockpit halo. Every other team had some variation of what has become the standard undercut sidepod. The biggest challenge for the aerodynamicists within these wide-tyred regulations was getting the air to outwash around those big tyres effectively. 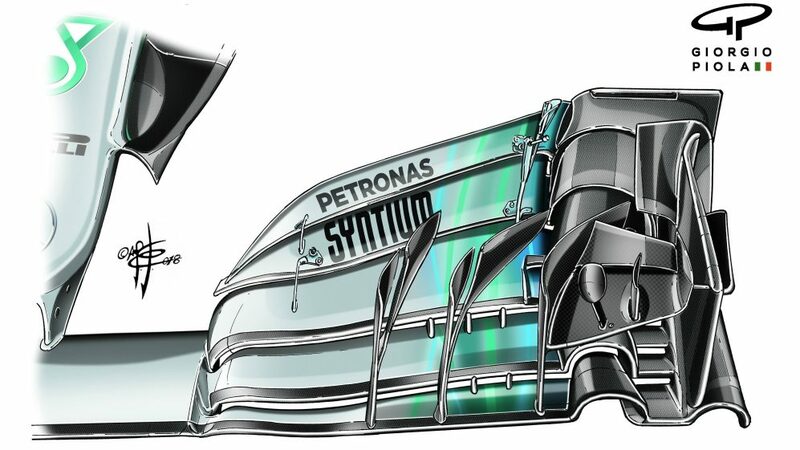 As such the front wing endplates became yet-more extreme in both their dimensions and intricate detailing with myriad new flaps and slots. 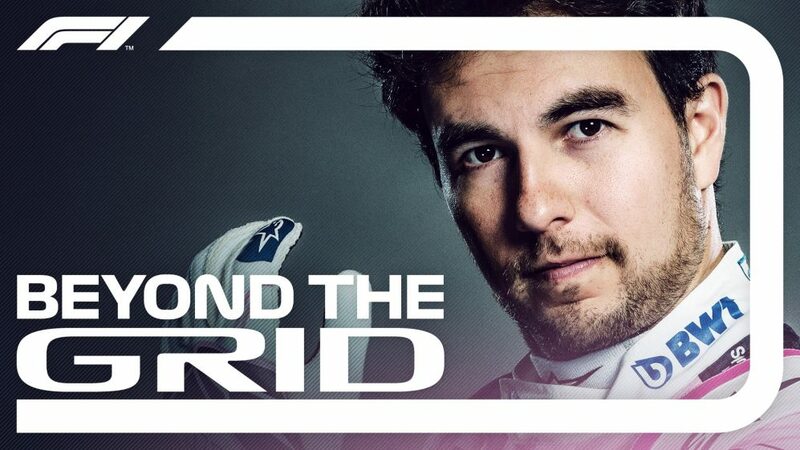 Once the air has been directed around the front tyre, ideally it needs to then merge with the airflow being fed through the inside of the tyre. 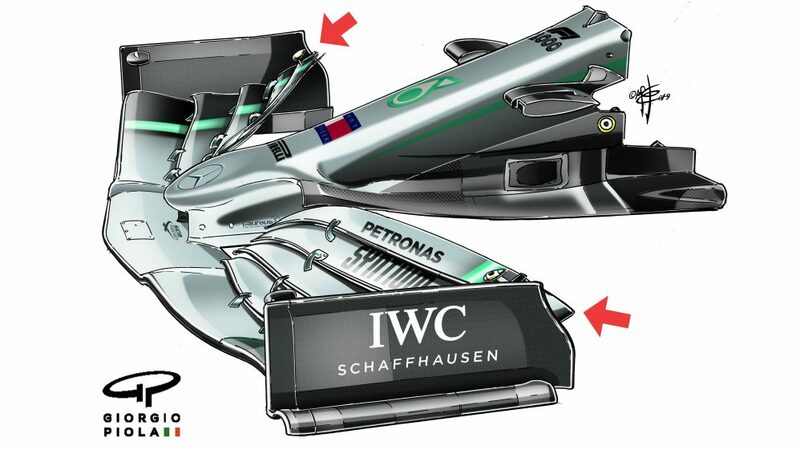 Below-nose guide vanes and the side-mounted barge boards direct this flow and they too became ever-more intricate. 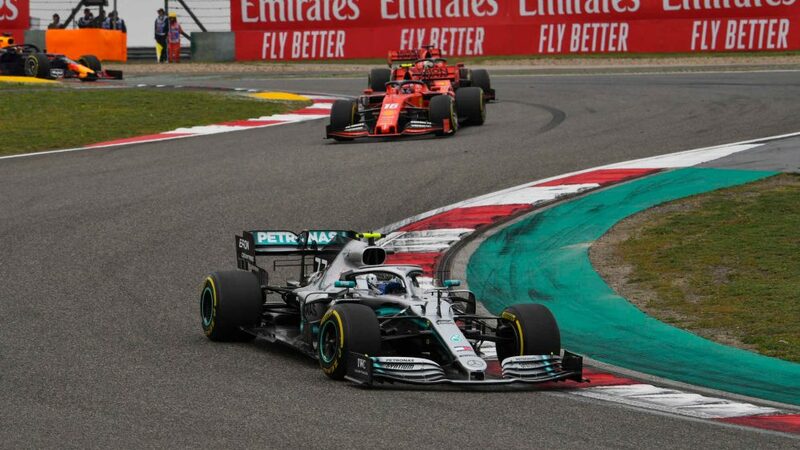 Vortex generators – air spinning off in circular intertwined conjunction after it hits an angled junction of two surfaces – on the underside of the front wing create spinning vortices of air that form ahead of the sidepods. Adjacent counter-rotating vortices (one clockwise, another anti-clockwise) accelerate the airflow through the gap between them. This helps re-align the flow that has come around the outside of the tyre with that which has been directed through the guide vanes and barge boards, accelerating the whole flow down the side of the car. 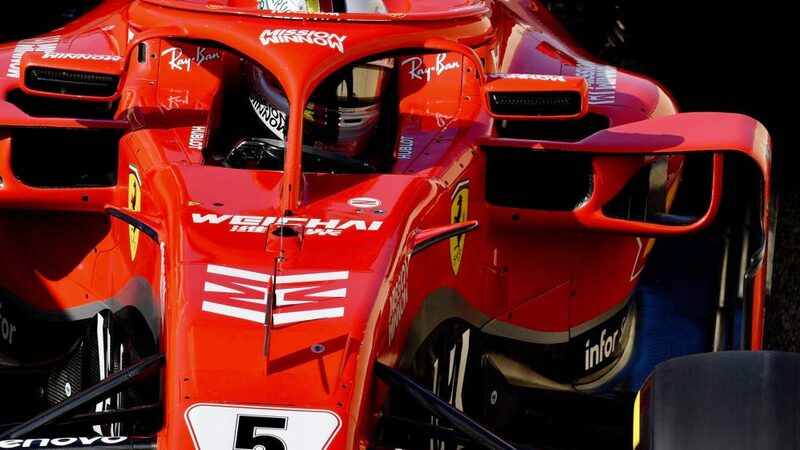 Hence the proliferation of additional vanes and slots on the barge boards, which have to marry up with those on the endplates of the front wing in how they are manipulating the air. ‘Mushroom’-shape additions to the barge board array of surfaces are themselves vortex generators for further down the car, the goal always being to increase the speed of flow which in turn will increase the downforce. As the teams have successfully found ways of doing this, and of working the underfloor harder, so the negative pressure beneath the floor has increased. With the more powerful wider floors, this increase has been substantial – to the point where the underfloor might no longer seal very effectively. Because skirts to physically seal the underfloor are banned, the physical gap between the ground and the floor is instead sealed by vortices on the outer edges of the floor. Slots cut into the floor help create these vortices by merging air from the upper surface. But the increased pull on the underfloor has meant in many cases these vortices were no longer powerful enough to seal. 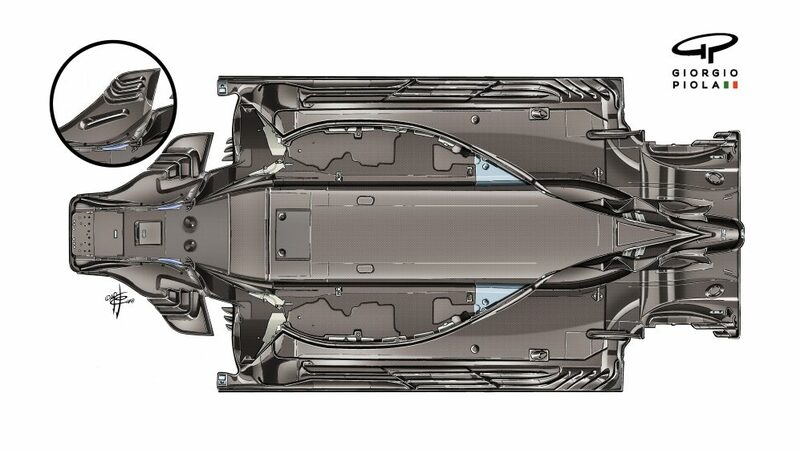 Consequently, we have seen teams follow McLaren’s lead of introducing longitudinal slots up almost the whole length of the outer floor. Another McLaren innovation – this one from 2017 – to be adopted elsewhere were the slots in the side of the nose which helped to smooth out the transition in the airflow as the car was turned. 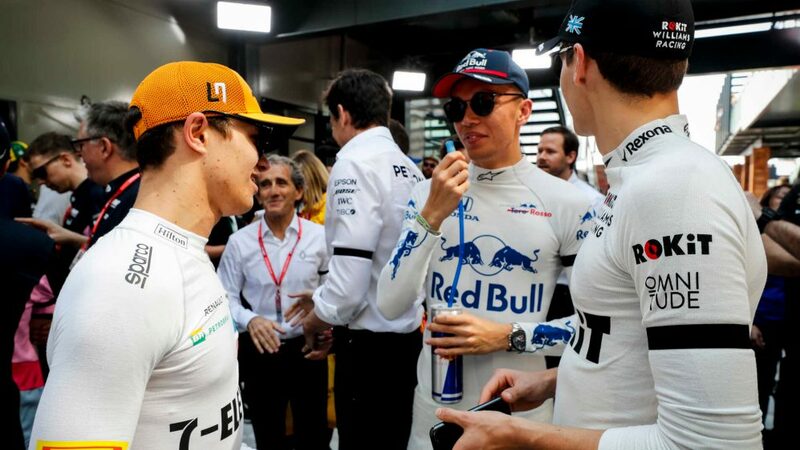 Red Bull and others took up this feature in 2018. 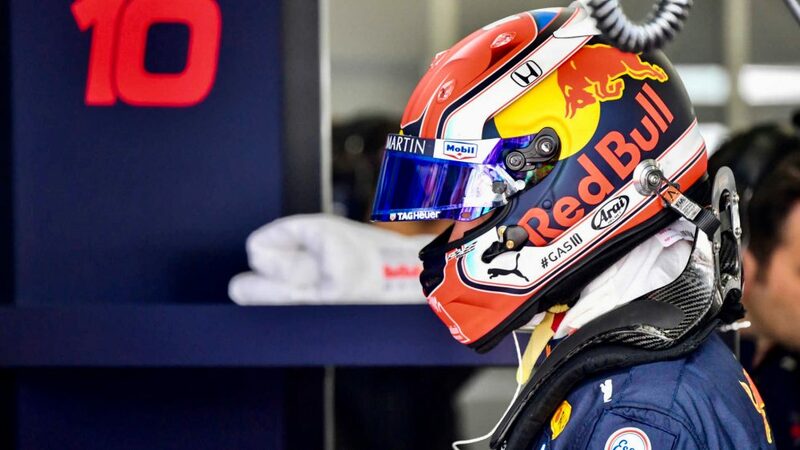 The halo was incorporated into the aerodynamics of the car, with several of them featuring aero lips to enhance the flow into and around the engine airbox. 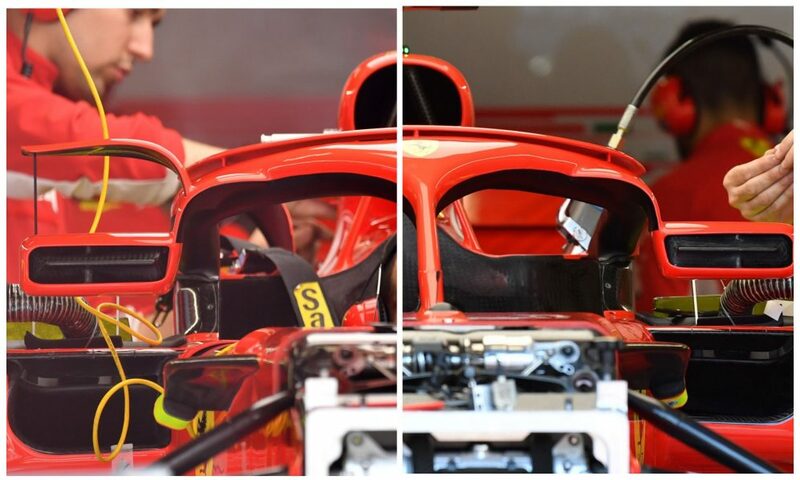 The ruling from China onwards that the mirrors could henceforth be mounted on the halo to improve visibility resulted in Ferrari’s controversial Barcelona mirrors. An upper mirror mount formed a winglet that enhanced the airflow towards the rear wing. Although this was banned from the next race, the mirrors retained the innovation of being mounted in a hollow casing, shaped to enhance the airflow passing through. However, strong aerodynamics will mean little if the tyres cannot be made to work effectively. The big challenge with the current generation of tyres is to prevent the rears from overheating. 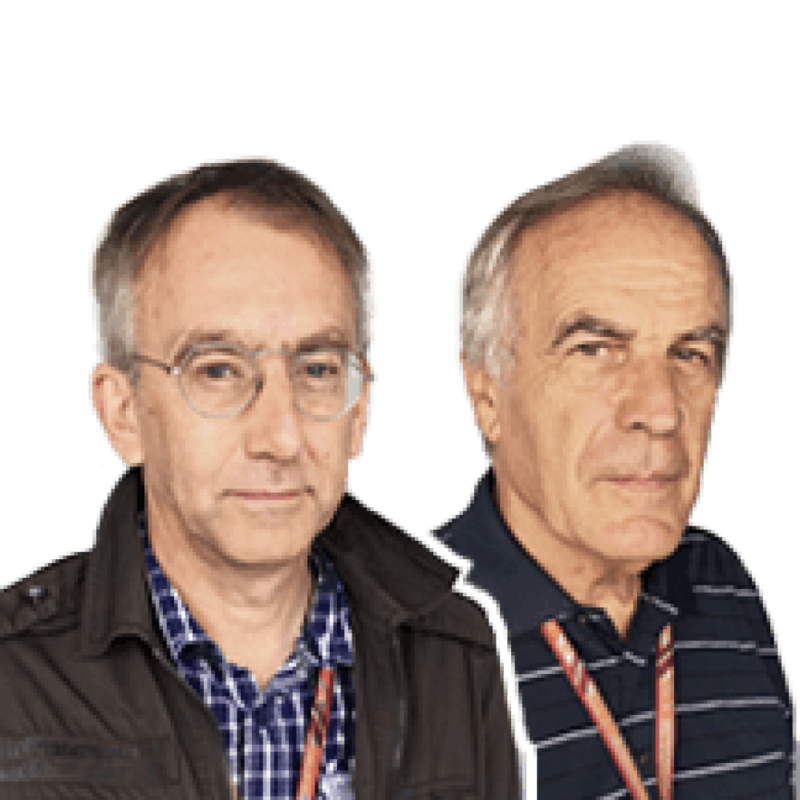 These are the most aerodynamically loaded cars in F1 history and with the biggest torque outputs – so the rear tyres are incredibly stressed. Teams have continued to find ways of using the wheelrims to help control the temperature of the tyres, most notably at Mercedes, who introduced a ‘extractor fan’ style of rim at Spa and followed up with a concave ‘brake tin’ (actually a carbon fibre shield around the brake disc to enhance the airflow) arrangement in Singapore to enhance that effect further. 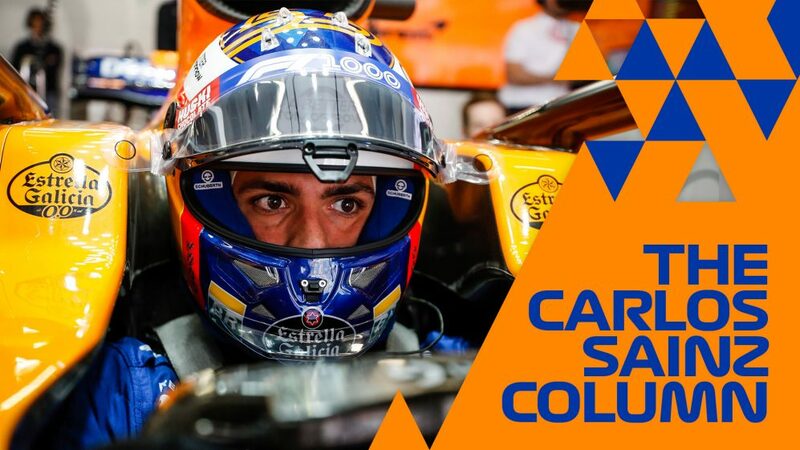 This is probably one of the few areas where 2018 development will continue through to next year, for although there are an entirely different set of demands upon the aerodynamicists, the need to look after the rubber will always be there.